Riverside View is a brand new, high-end residential scheme that is transforming Keynsham’s riverside site. The new development consists of 95 one- and two-bedroom apartments and is connected with the long-awaited redevelopment of Keynsham Leisure Centre. We have been working alongside Aequus Construction to help them promote these apartments, from initially building a holding page website, to creating supporting materials such as building wraps. At the start of this year, we reached the next stage, Riverside was finally at a stage to launch to potential buyers. 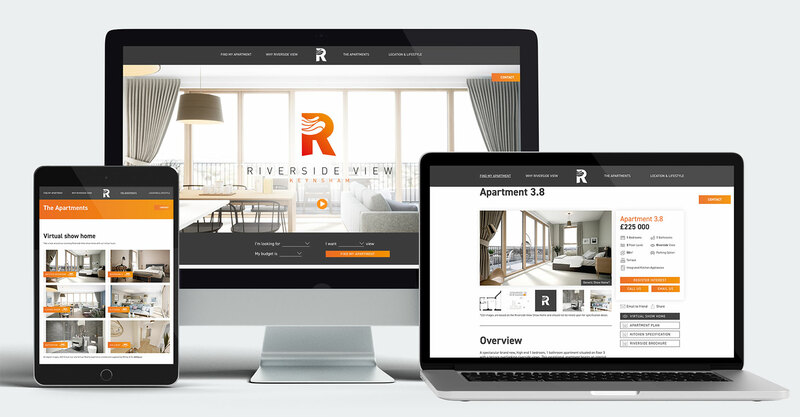 For this, we needed to create the full website, ready to sell the dream of living at Riverside View, Keynsham. There were key aspects for us to include when designing and creating the website. With Phase 1 launching without a show home, we needed to use other assets to showcase the beautiful apartments on offer. We partnered with Whiley & Co. to have a virtual reality walk-through of the apartment, along with Stills from VR and a CGI video of the show home. Whilst designing all of this we need to keep the target audience in mind, making sure we appealed to young professionals looking for their first home. When designing the website, I wanted to utilise the show home video whilst hiding the main menu bar on the home page to really captivate the user. The main challenge when creating this site was the vast number of apartments and the opportunity to add more in with future phases. I made it easy to search for the desired apartment specifications using a simple grid layout, allowing the user to quickly and easily find what they want. Using a simple grid system and the main brand colour (orange) for CTA’s, the whole website became easy to navigate. Subtle transitions made for a swiftly flowing website keeping the user intrigued and ultimately on the website. Responsive, accessible, innovative. To showcase these beautiful apartments, we really focused on the assets. Video, high-quality photography and virtual reality allow our users to step into their very own apartment. Our fully responsive website is optimised for all screens, all devices and for all users. Working tightly alongside the design team we built something that delivers an amazing experience, with no restriction on design. An essential feature of the website is the search function. 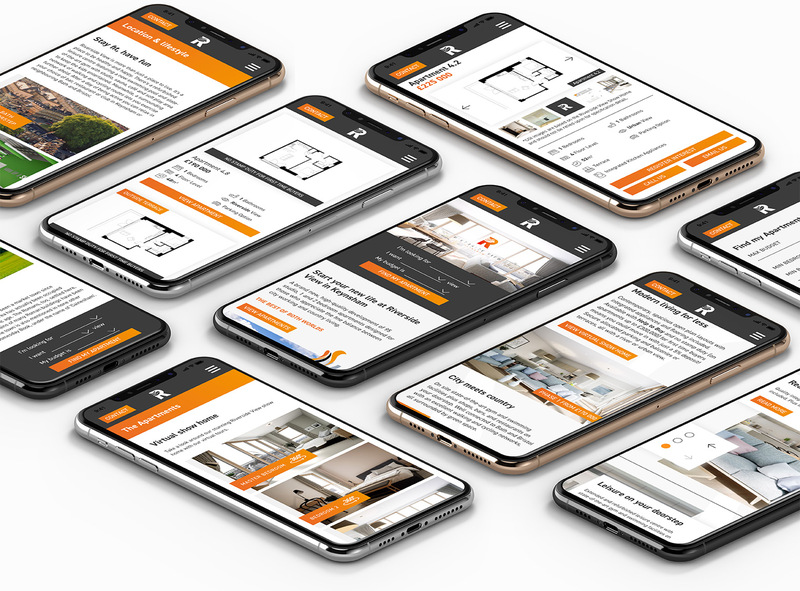 When designing and building this website we needed to ensure the website was interactive, allowing the user to find a suitable apartment through an easy to use search function. Take a quick look at part of the website below and click here to check out the website in all its glory! Who starts trends and how do they work? Hey Google – Is Voice Search the Future?